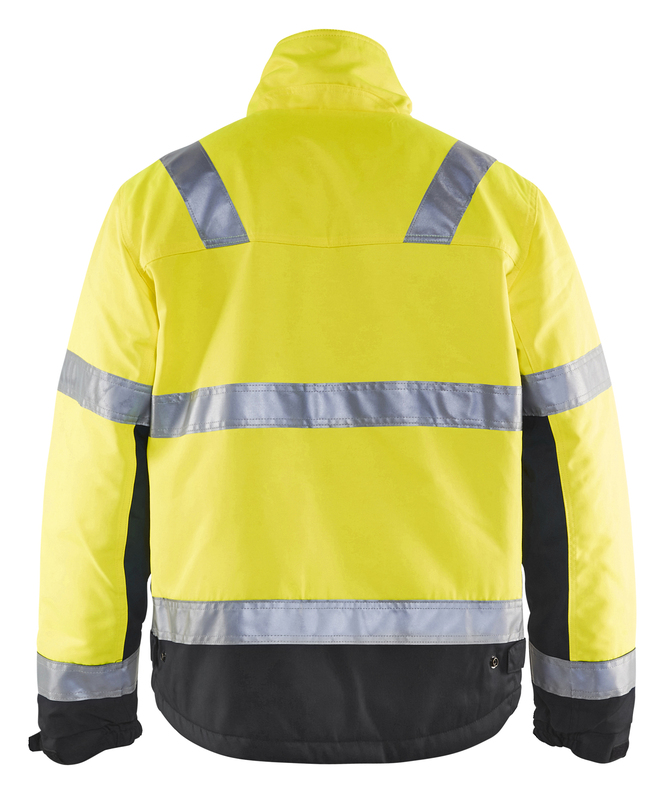 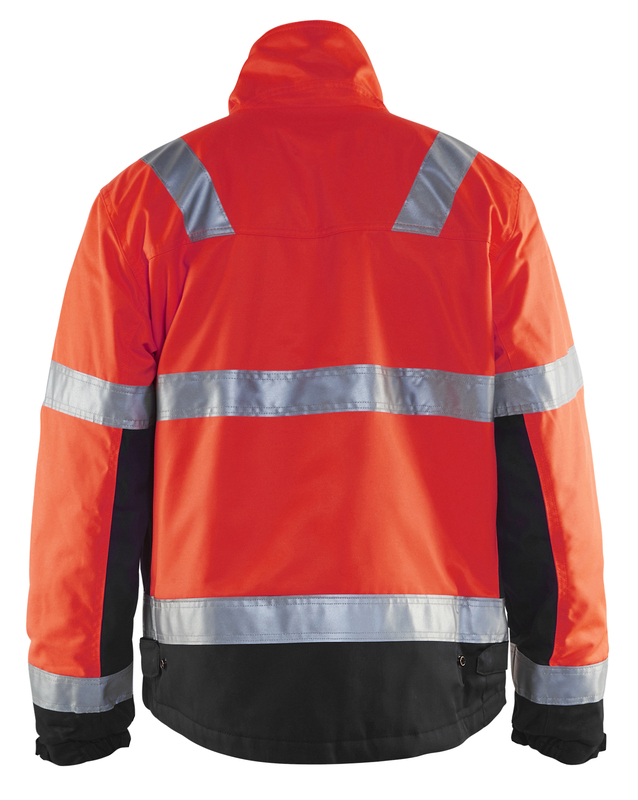 HighVis winterjacket with quilt lining in a durable, water and dirt repellent outer fabric. 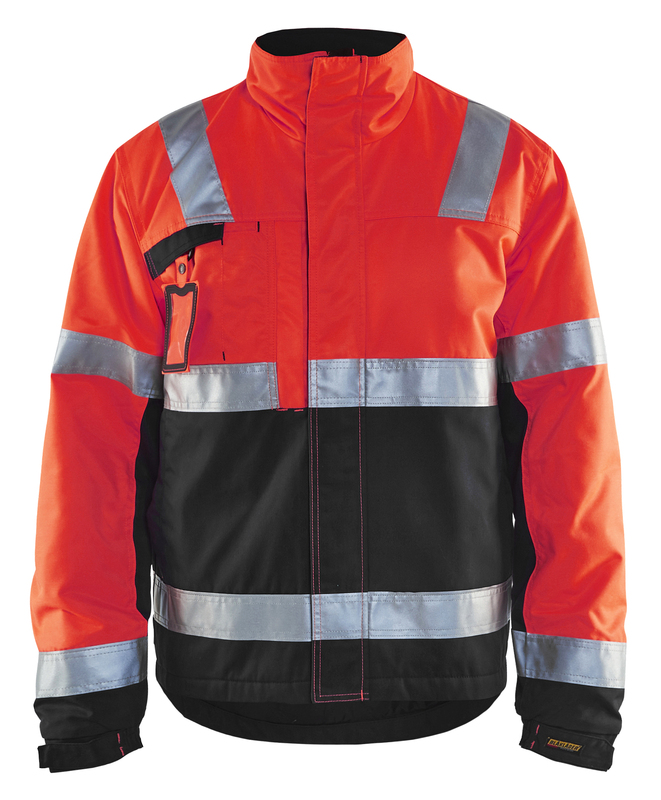 It can be adjusted in the lower part and has been extended in the back to prevent the back from being cold also during movement. There are surfaces for embellishment on the arm, chest and back. 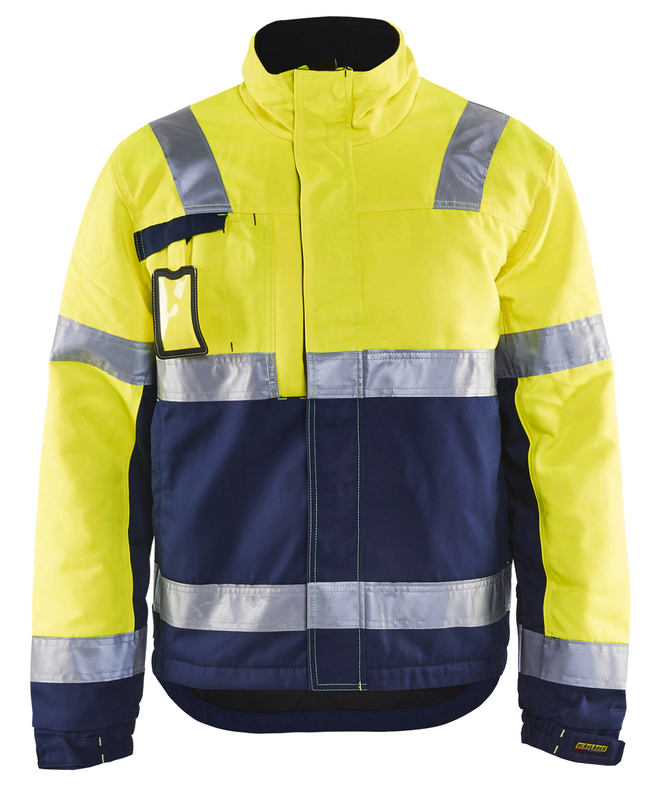 The jacket is EN-certified against both HighVis and coldness and is a really good allround winter HighVis jacket.